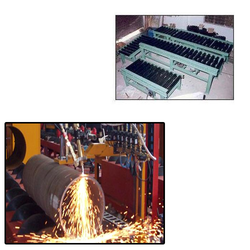 Our product range includes a wide range of roller conveyor for pipe industry. Being an unparalleled name in offering a wide gamut of Roller Conveyor for Pipe Industry. The offered conveyor can be utilized for indoor and outdoor purposes for handling pipes easily and safely where needed pipes to roll on to the conveyors from the storage racks. We manufacture these roller conveyors under strict industrial norms by utilizing high grade components and modern machinery; our offered products are supplied to customers in various stipulations at reasonable price tags. Looking for Roller Conveyor for Pipe Industry ?